There are battle lines being drawn over Greece, and they're engulfing social media outlets including Twitter. As European leaders tried to hammer out a last minute deal that would keep Greece in the euro, a large group of critics -- including many Greeks - slammed the proposed terms of a new bailout, using the #ThisIsACoup hashtag to voice their displeasure. "I can't believe what's going on in Brussels," one user said. "These demands are insane. #ThisIsACoup"
The hashtag was the top trending Twitter topic in Greece, as well as Ireland, Germany and the United Kingdom. In many other European countries, it ranked among the top 10. "I'm Greek. 27 year old. This is not democracy. This is the most embarrassing behavior of European history. 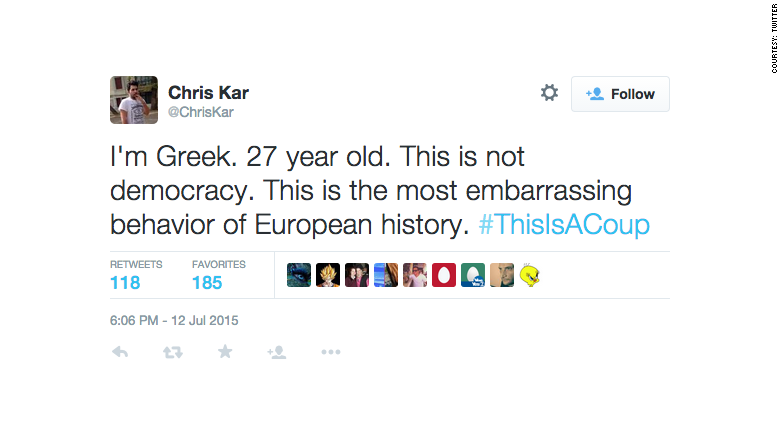 #ThisIsACoup," another user tweeted. #ThisIsACoup quickly gained the backing of commentators who say Greece should not have to accept more concessions before being granted a third rescue. "This Eurogroup list of demands is madness," the economist Paul Krugman wrote on his blog. 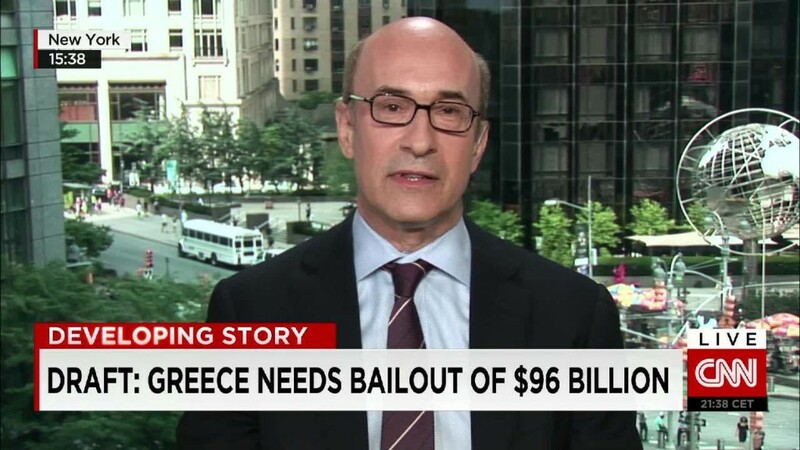 "The trending hashtag ThisIsACoup is exactly right. This goes beyond harsh into pure vindictiveness, complete destruction of national sovereignty, and no hope of relief." The hashtag underscores the difficult path that Greek Prime Minister Alexis Tsipras had to walk during talks with creditors. His government was elected on a pledge to roll back austerity measures, but is now negotiating a bailout package that many Greeks feel is a capitulation. This being the Internet, a decidedly less popular hashtag, #ThisIsNotACoup, had supporters of its own. "Pro tip: If you don't like strings attached, don't spend other people's money. Using power != using force #ThisIsNotACoup," one message read.